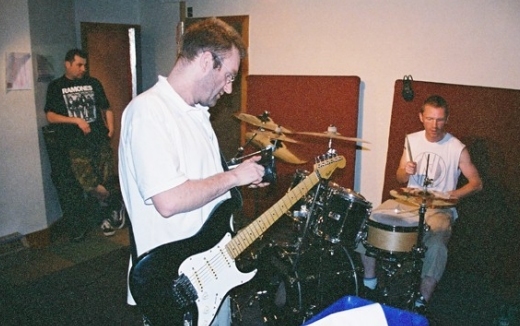 Work on the new Pointy Boss CD began in July 2003, with a return to Unit 5 Studios in Mansfield to record as many drum tracks as possible before Nik's departure from the band. 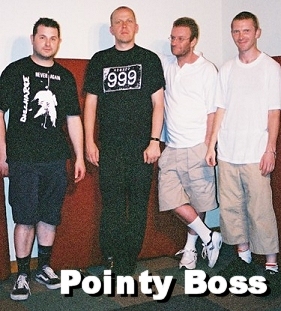 All four original members of the band were keen to commit to CD the set that they have written and performed since Pointy Boss's formation in 1999. This included classic Pointy numbers such as Baudeline, This Ends Today and Where Did You Go?, alongside newer songs such as Believe You Don't Me and Things Like That. In the first evening session, drum and bass tracks for more than fifteen songs were recorded — including one new number that had only been introduced to the band the previous week Life is a Blur for Olivia. Guided by the perceptive ear of engineer and mixer Steve Davies, the band returned to the studio in the months that followed to set down the remaining bass tracks, and to add layers of guitar and vocals to the mix.